The weekend before last I made some mozzarella as we had friends visiting. I meant to take photos but was in a rush. On the upside I now have an excuse to make it again soon so I can blog about it! Anyway, I always make ricotta from the whey leftover from making halloumi or mozzarella. I have talked about it here. This time I did the same thing, but the ricotta curds didn’t seem to separate from the whey. I strained it anyway and left it overnight. What I found was much more akin to a cream cheese. So I popped it in my new cheese mold to finish draining and here it is – pretty much an accidental cream cheese. I still have no idea why it didn’t turn out like regular ricotta. I had some with pasta to which I added some fried onion, courgette and a handful of peas – it was lovely, but I didn’t take a photo as it was late. I also added some to a potato tortilla which was delicious and we have been eating all week for lunch. I used the last of the leftover cream cheese on Tuesday in a basil, lemon and cream cheese pasta dish: I stirred the cream cheese through some just cooked pasta, added torn up basil and lemon zest and topped it with some grated Hafod Cheddar. We had it with salad that came almost entirely from the garden – the avocado was not from the garden – I am not that good at gardening. I am so pleased we are finally getting some salad bits and pieces now. 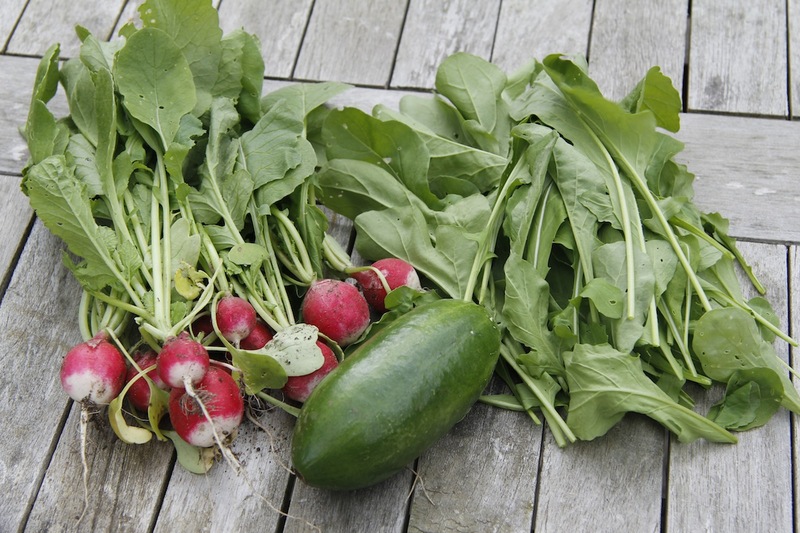 We have radishes, lettuce and rocket and have had our first cucumber! 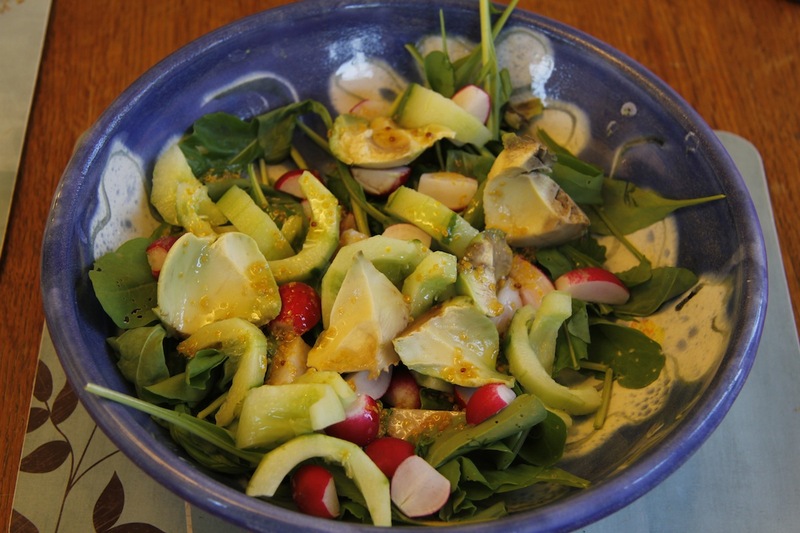 first salad – although the rocket looks a bit wilted! That is awesome! 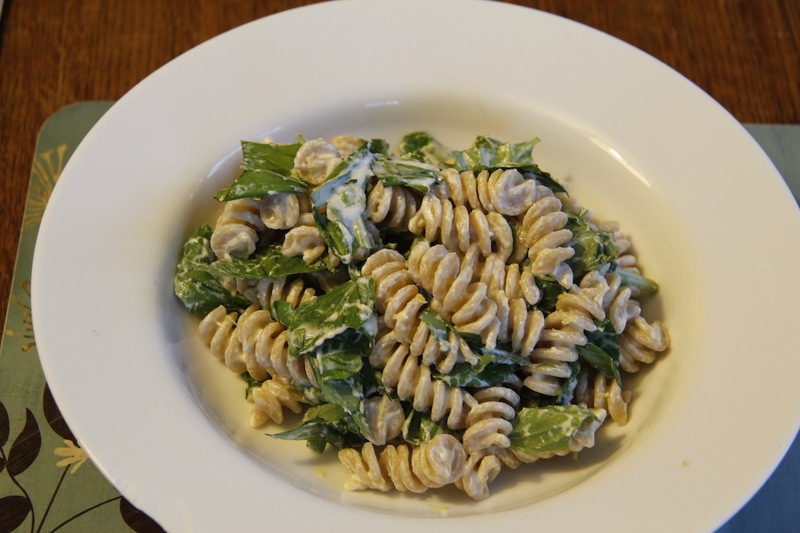 I love a little cream cheese with pasta! 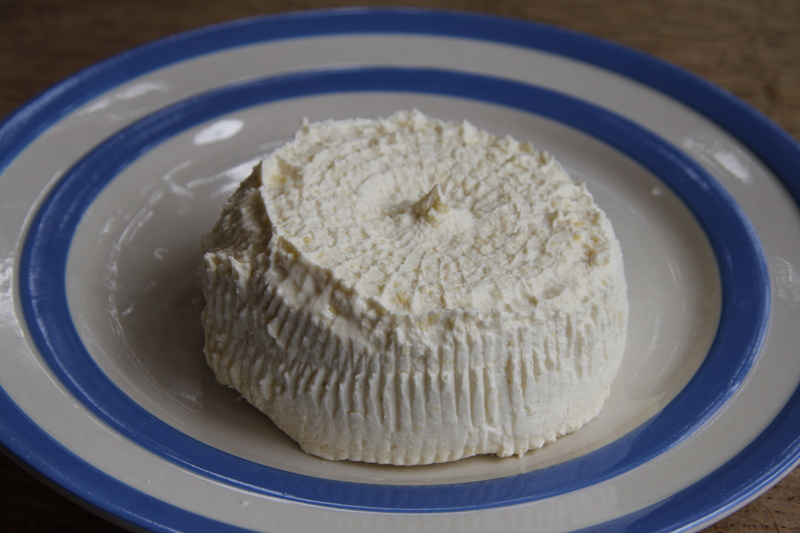 Thank you – I am going to try and deliberately make cream cheese next week as it was so good! The cheese is beautiful if not yummy too. And I think your rocket looks lovely. Better than any I can buy here. Enjoy!